We’re finishing up our sour beer series with this week’s video as we dive into American Sour Beers. American sours, like many things we do here in the states, tend to break a lot of the classic rules and approaches. We’re innovators here and it’s no different for beer! New to sours? Check out the rest of our sour beer series here to get you ready to dive into the wacky, wild, refreshing world of sour and wild beers! 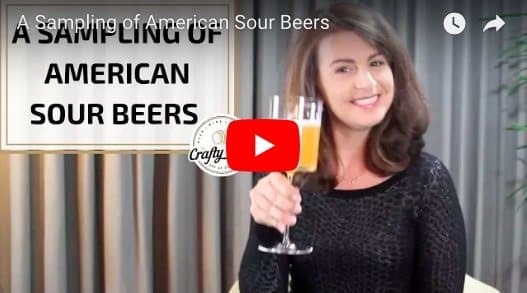 In this video we cover the range of American styles by featuring beers from Cellador Ales, Calicraft Brewing, and Mraz Brewing Company in CA, Springdale in MA (check out our full article on Springdale here! ), Alesong Brewing & Blending in OR, and OEC Brewing in CT (read our feature on OEC here) . Take a spin through and start getting familiar with the incredible innovation and flavors happening in American Sours! Missed our first two videos on sours? Let’s make sure that doesn’t happen again! Subscribe to our YouTube Channel so you don’t miss our next video series. Have a suggestion for what that should be? Let us know in the comments below!